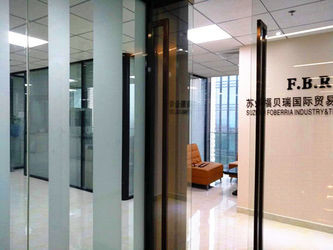 F.B.R was founded in August ,2012 ,located in Suzhou,Jiangsu province,China. 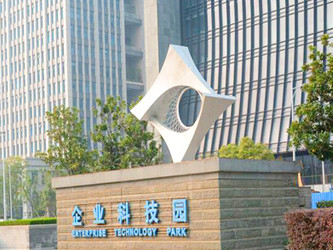 With mission to creat the most competitive advantage for our customers ,we set up R&D center in Hongkong ,keeping pace with the appliance of new technologies ,new process and appearance of new technologies ,which used among the actua production of injection involved designing ,technology and techniques . Since our foundation ,being committed to its motto in production and services , integrity ,innovation ,passion and stability ,and customer ' satisfaction are our permanent persuit .We have won the merchant customers ' constant high praise .We also keep a close partnership with many large enterprises . 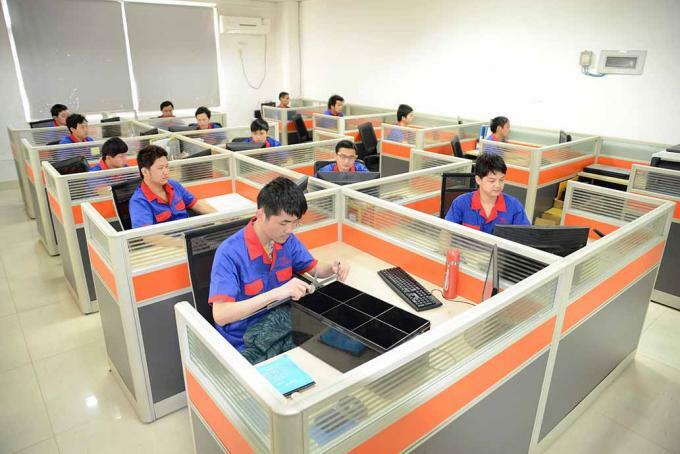 We will devote and cooperate with the wide customers of world in hand and towards successes .side by side with wholeheated services ,excellent quality and high efficiency .We guarantee good quality and competitive price. FBR mould always keep in touch with customer in every step to ensure that all the details are in accordance with customer request. 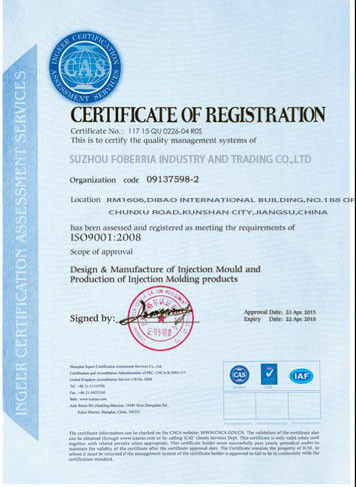 The factory was established in August ,2012 ,which has been more than 6 years old of history .As the company 's gradurally developing and getting stronger ,stuffs of the company or techniques , facilities and the researching strength of the factory all were getting stronger and more stronger . 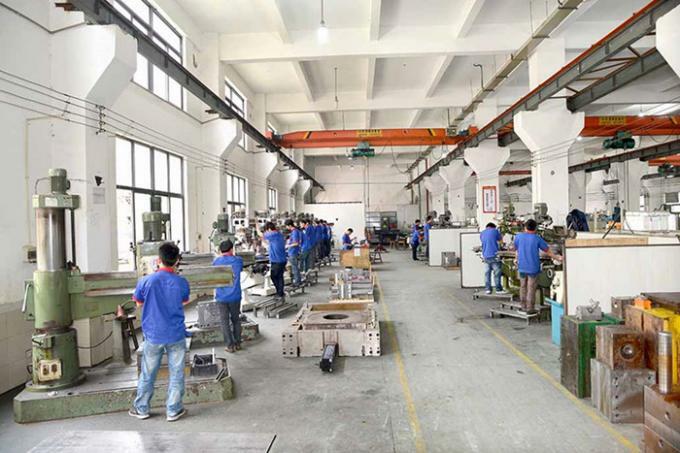 FBR Mould Factory is the leading plastic mould manufacturer in China, based on precise tooling, high technology and top mentality mould design. Our will try our best service for you. 1). Free product design &mould design 2D/3D. 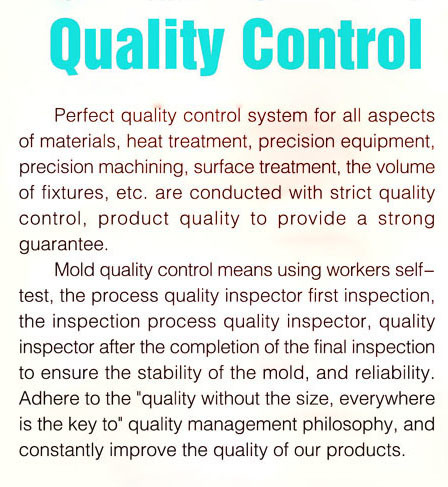 We are professional for mould design, our technique absorbed from Taiwan and Europe. 3). Every week update production information. 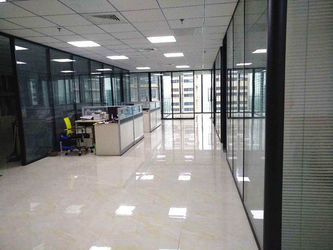 There are more than 300 stuffs in the company ,we have our own researching team ,about 20 technique stuffs in the researching and developing center of the company ,others are the technique peration personnels.